Kirkby Stephen - picturesque town at the foot of the Pennines. Kirkby Stephen is a very picturesque market town. 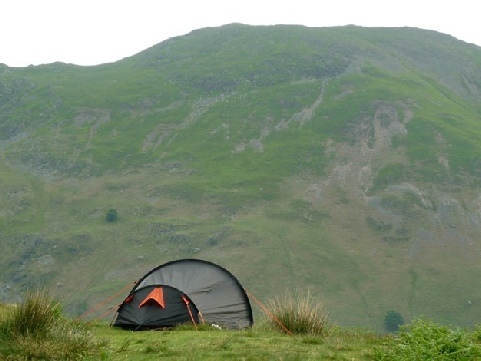 It is on the edge of the Lake District national park, close to Kendal and Appleby-in-Westmoreland. The area around Kirkby Stephen provides a good range of camping and caravan sites as well as a great selection of attractions and things to do. Check out the key information on the right and then explore the Kirkby Stephen camping and caravanning sites listed below. Attractions: Kirkby Stephen has a good range of pubs and places to eat. Its location makes it the perfect base for a holiday encompassing the lakes themselves, but also the the Pennines and Yorkshire Dales National Park. Kirkby Stephen is also a welcome stop on the Coast 2 Coast long distance walk across England. Nearby Appleby also offers the magnificent Appleby Castle, although currently closed to the public, still dominates the town and is also home to the annual Appleby horse fair.